This unique chamber ensemble with two internationally acclaimed artists has been enchanting audiences in Austria, Germany, Belgium, France, Canada and Hungary since 2009. Both musicians, father/daughter team, both winners of international competitions, have taken on the mission to widen the repertoire for harp and violin. Aside from performing standard works by Spohr, Saint-Saens, Damase, they have inspired contemporary composers to write works for them, such as Poème by Michael Kimbell, which was premiered in Ottobeuren in 2009 and consequently presented at the World Harp Congress 2011. 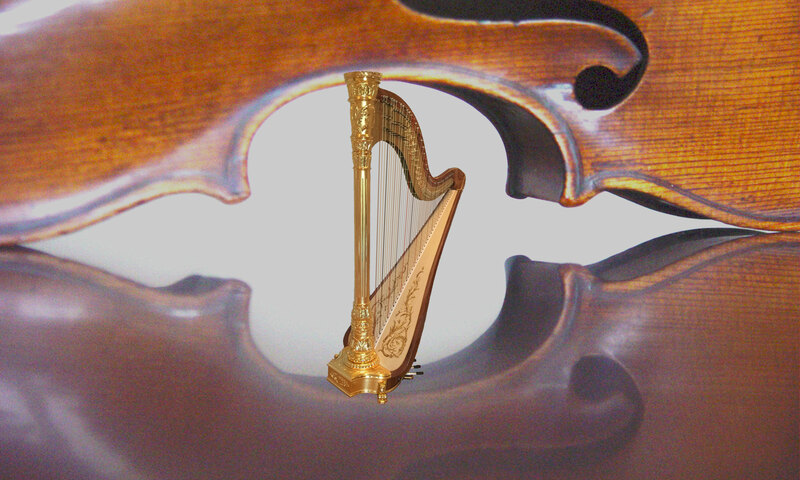 Imagine a choreography set to music for harp/violin ensemble! The Saitenspiel Duo has been inspired to create a programme based on a variety of dances. Although not explicitly composed for dance, well-known masterpieces, such as C.M. v. Weber’s Invitation to the Dance, have been orchestrated by great composers like Berlioz. This work opens the floor to a selection of waltzes, Liszt Mephisto Waltz, R. Strauss Rosenkavalier Waltz Sequence, Ravel La Valse and Berlioz Waltz from Symphonie Fantastique. But other exotic dances such as the Dance of the Seven Veils by R. Strauss, Shostakovich Jazz Suite, Piazzolla Tangos and Ponchielli Dance of the Hours form part of the programme which has been presented in Ottobeuren July 16, 2016 and available at any major digital stores like iTunes. Watch the trailer here.